This solid brick ranch home sits well above street level and overlooks the huge yard! The location cannot be beat; quiet cul-de-sac with close proximity to Southern Pines and multiple golf courses. The open and airy floor plan includes three spacious bedrooms, two large bathrooms, fireplace with built-ins and multiple bay windows. The backyard is fully fenced, complete with an in-ground pool and hot tub. The home also has a newer septic system and leach lines. 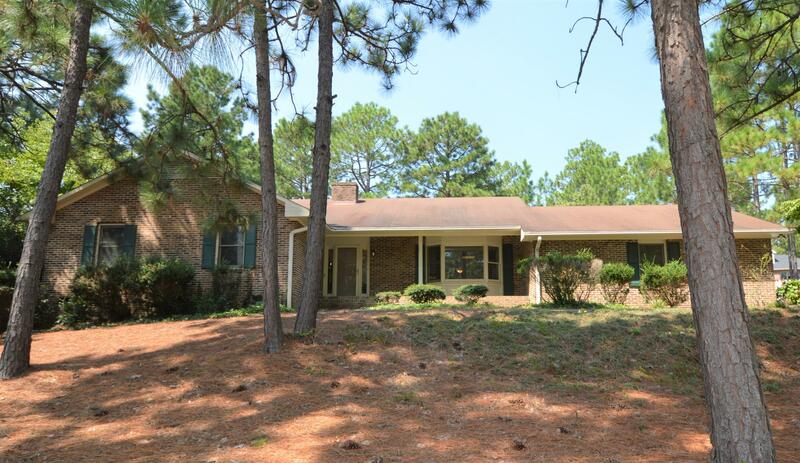 Fantastic price for Southern Pines!